Spectacular autumnal colours in Perthshire. Perthshire, Scotland, United Kingdom. 21 October, 2017. 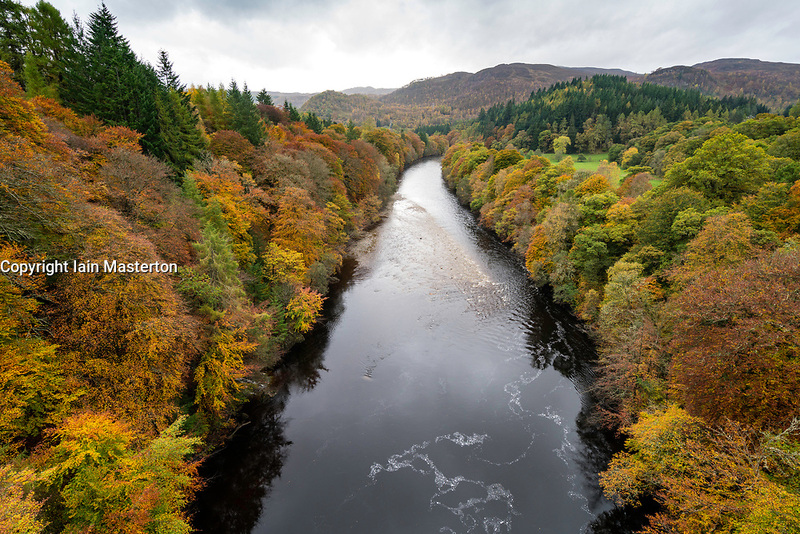 Spectacular autumn colours in natural woodland on banks of River Garry at historic Pass of Killicrankie near Pitlochry.